This truly unique diamond ring with 5 princess cuts set point to point. 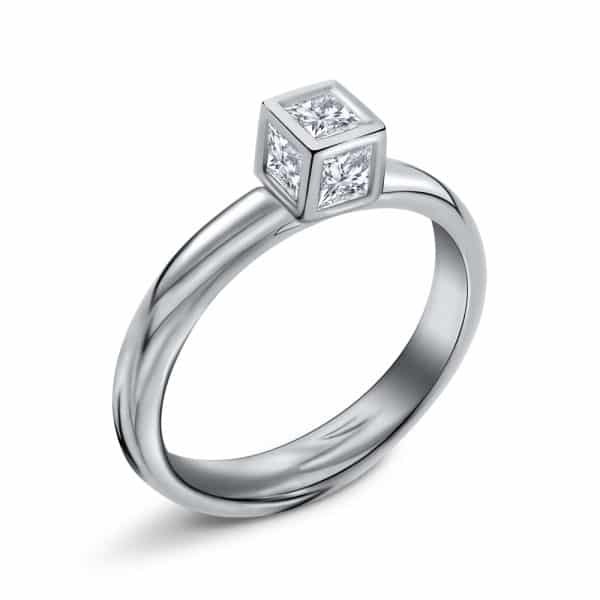 A wonderful contrast of an angular setting balanced perfectly on a curvaceous D-shaped band. 0.50cts princess-cuts G VS in 18ct white gold. Available in a range of sizes and stud earrings.